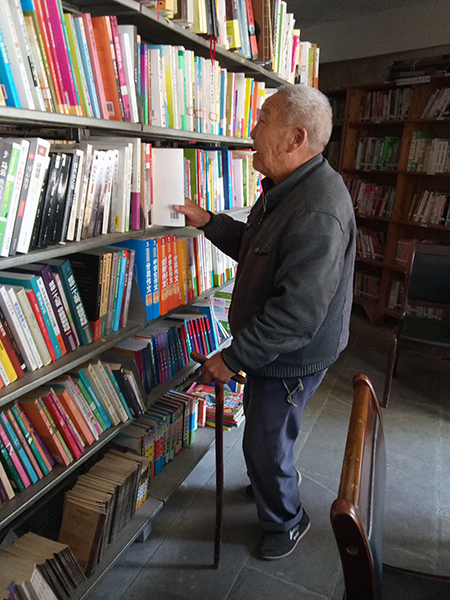 The library, in the ancient town of Heshun, in Tengchong, Yunnan province, was founded in 1928 with funds collectively raised by overseas Chinese in what was then Myanmar, who wanted to revitalize culture in their hometown. It achieved this goal, by influencing the outlook, and eventually the fate, of many young people in the town in those days, and it is still active in serving the local people. Last year China Central Television named it one of the top 10 libraries in Yunnan. The library was founded on the basis of a book and newspaper reading society initiated by Heshun's youth federation in 1924. Buildings that combined both Chinese and Western styles were added in 1938. The library now covers 6,000 square meters and is composed of a main gate, a middle gate, a main building, a building where books are stored and a garden. Cun Yu, the chief librarian, says it has more than 115,000 books, including more than 20,000 important ancient books and documents published in the early 20th century. It also has a rich collection of rare multi-volume series, books on local culture and books written by overseas Chinese. More than 80 percent of the books were donated, which has been an important tradition since the library was founded, Cun says. "When the library was founded it was still very inconvenient to buy books and newspapers because of the library's location. Most of the books were bought in cities like Shanghai and transported to Heshun by sea and then through Myanmar." 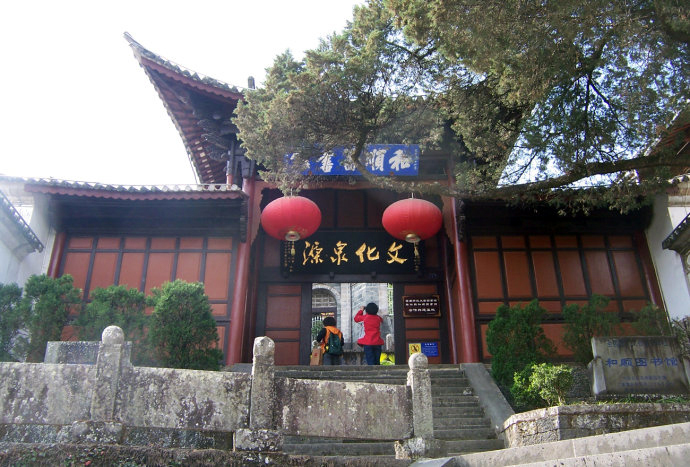 The library, which was brought into the national public library system in 1988, was designated as a key cultural heritage protection entity in Yunnan in 1993 thanks to its long history and important collection. After nearly a century, the library is still serving people and has managed to keep up with the times despite its age. "We have added an electronic reading room, which has attracted many middle-aged people and young students to the library," Cun says. "Computer-based reading can generate their curiosity for new things from the outside world." The library attracts more than 500,000 visitors each year, Cun says, and it organizes cultural activities almost every month to enrich locals. Over the past couple of years exhibitions such as bird photographs taken in nearby Gaoligong Mountain have attracted as many as 100,000 visitors over a week, and cultural scholars are often invited to give lectures there. "In recent years the traditional functions of libraries have changed, so we are trying to expand other cultural services so as to build our library into a cultural center," Cun says. 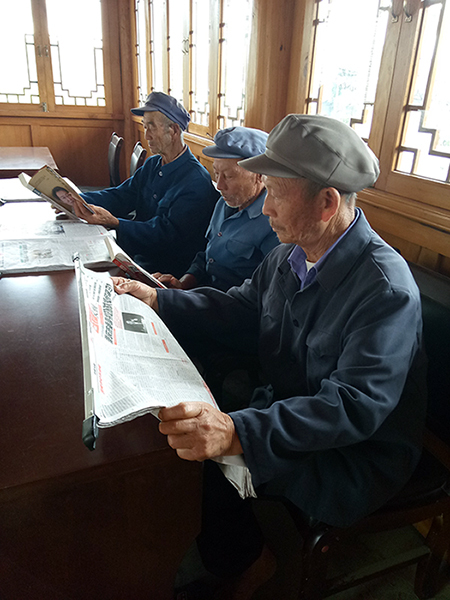 Cun, 43, who lives in Heshun, has served as chief librarian since 2011 and says he regards it as a tremendous honor because his great grandfather was one of the council members when the library was founded. "For the people of Heshun the library has become a cultural icon. We all have special feelings about it." Some of the local residents have even donated pot plants to decorate the library, and others have donated newspapers or magazines, he says. The library has a staff of six, including Cun, and all have received training in library management. The library has been working to digitalize its collection, more than a million pages of books and other materials having been scanned. "Readers can download many of the books simply by scanning a barcode in the library," Cun says. 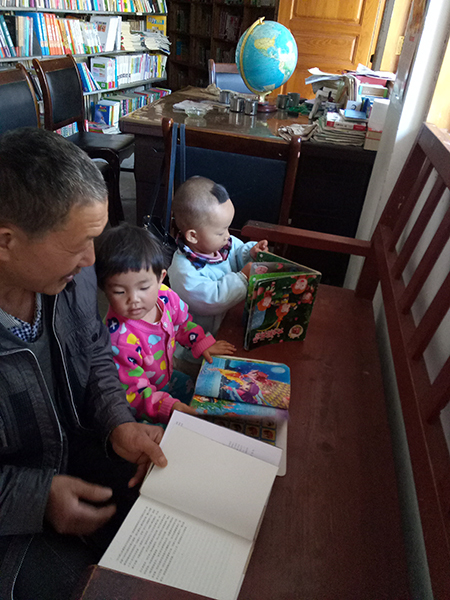 In recent years the library has established eight branches in the surrounding villages to satisfy local farmers' and migrant workers' reading needs. Most of the branches are equipped with computers that allow readers to search and download material on the internet. One of the branches is in the village of Dazhuang. It opened in 2008 with the personal donation of a local retired official and has expanded gradually over the years. It now has more than 18,000 books, with 24 kinds of magazines and 15 kinds of newspapers, and most of the readers are local primary school students and villagers, says Cun Limei, who has managed the branch for four years. The collection includes classics, best-sellers and cartoons for children, as well as cooking and health related books. 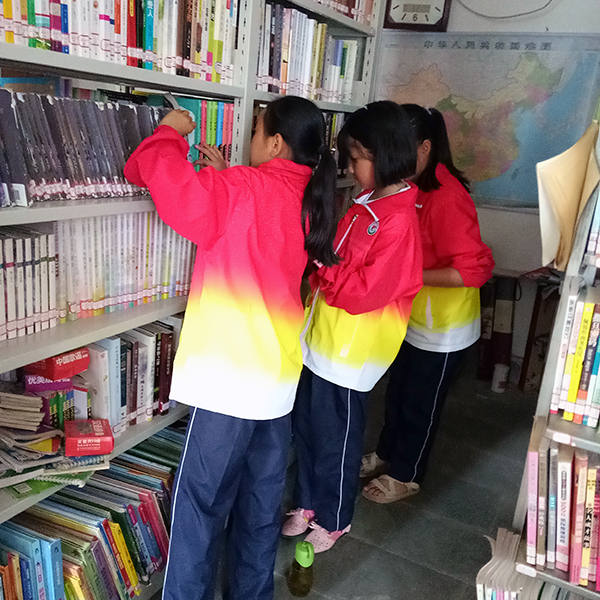 Heshun Library offers branch staff training in library management throughout the year as well as funding of 10,000 yuan ($1,480), in addition to replenishing it with new books, Cun Limei says. The library, which also has a reading room, has turned into a great gathering place for both the elderly and the young, she says.